Nowadays, you’ll hear many car owners complaining about the car repair services that they are receiving. If they do not complain about poor services, they most likely talk about the overpricing of repairs. If you don’t want these same scenarios to happen to you, it’s worth the time to search for a reliable auto repair shop. 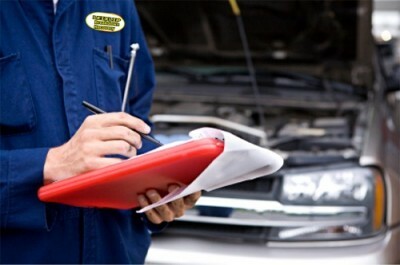 Here are some tips to help you look for a trustworthy Singapore automotive services company. Finding an auto repair shop before actually needing it helps you make better decisions. Searching as early as possible helps you make better decision without rushing your judgment. Without a pending car problem, you can leisurely and comprehensively compare services, prices, and expertise from several shops. 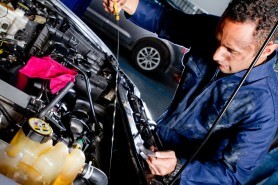 If your car is still under warranty, you may have to do the repair at your car’s dealer. This means that you may not be able to choose to choose a car servicing company that is not affiliated with your car’s dealership. Violating the terms of your warranty can mean that your car will no longer be covered in the agreement. If in doubt, call your dealer for more information. 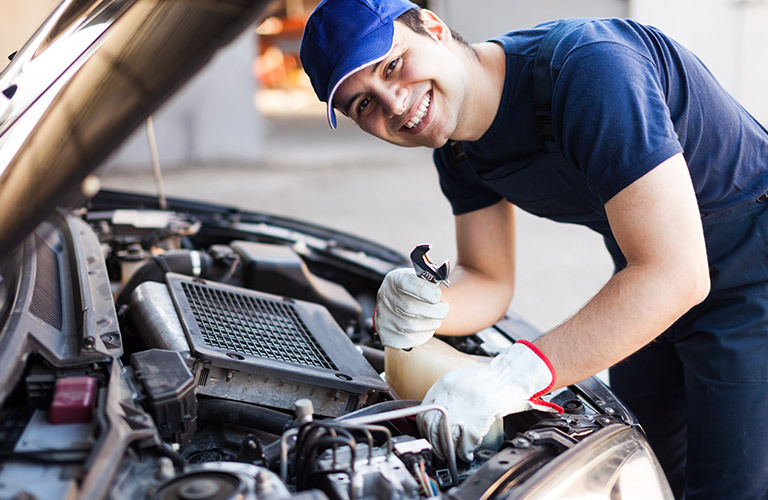 Before going deeper into your search for a quick car service mechanic in SIngapore you might first want to consider talking to your insurance company. They usually have partnership agreements with auto repair shops and can provide you with a list of reliable service companies. However, also consider recommendations from other people as many shops take shortcuts and compromise the quality of work. One of the best ways to find a good service company is to ask friends, neighbours, and family members for recommendations. Oftentimes, you get great recommendations from people you personally know and trust. Ask about the company’s quality of work, level of service, and the length of time that a friend has been a customer to the repair shop. When you enter an auto shop, the reception area should display signs of staff proficiency, such as certifications and vocational course diplomas. These signs indicate that technicians, mechanics, and the crew of the shop are up-to-date on their trainings and are knowledgeable about vehicle aspects. Visit the site of the car maintenance shops you consider. You can tell a lot about a business by how it presents itself. Notice the organization and the tidiness of the premises. Look beyond the reception area, check up-to-date tools and equipment in the service bay, and see whether the crew are wearing uniforms. Likewise, look for vehicles of same value to yours in the shop. Instead of settling on your first stop, take a few moments and look around for more options. Call around to several Singapore repair shops and ask about the services they offer and their corresponding prices. It’s also a smart move to ask about the warranty they provide on the parts and repairs to ensure you’re not wasting money on poor quality works. 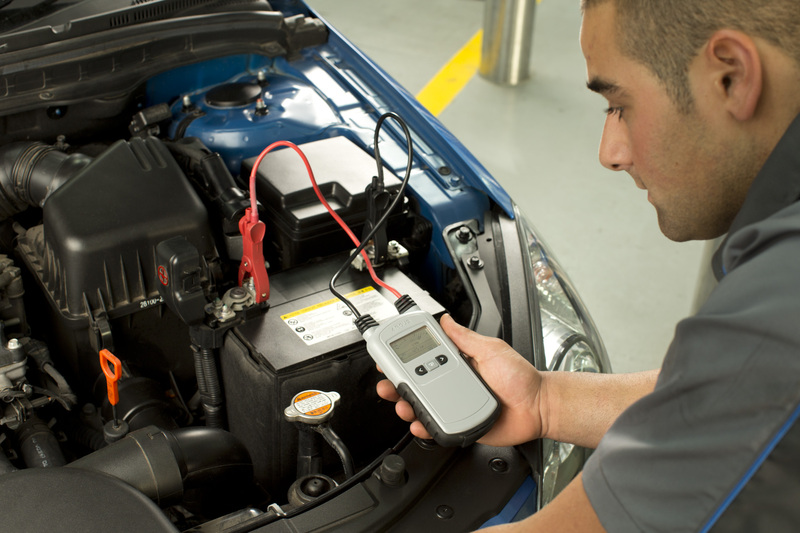 Find out if a car servicing company has the latest equipment for car restoration. You see, cars nowadays has built-in computer features in them, so it’s important to know if an auto repair shop can afford to restore your car to its original form. Also, ask about the type of replacement parts the use. Some repair shops use recycled parts and materials. Know if they use recycled or junkyard parts. The Internet is a good source of information for almost everything, including information of car repair outlets. Read comments from local review sites and see how consumers feel about their experiences with your prospect repair shop. If they have Facebook page, check it out as well. 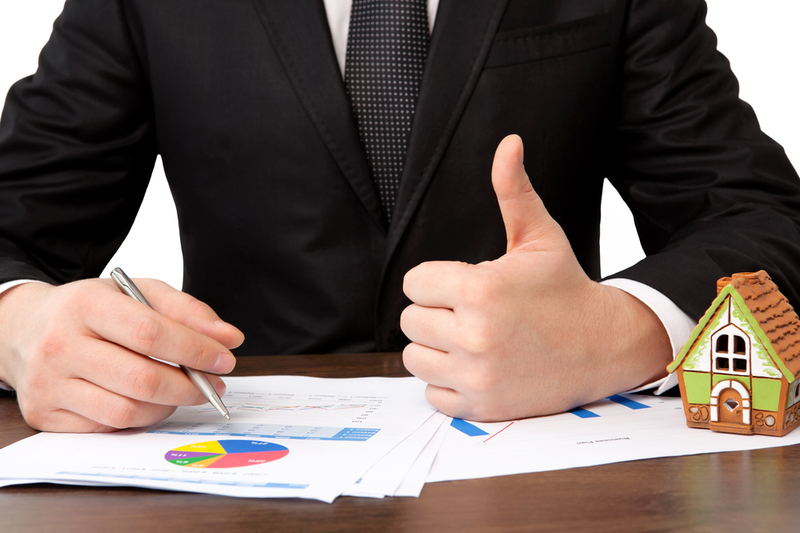 It’s a good place to gather information like rates and on-going promotions. There a few differences between a regular car shop and a dealer. If you have a vehicle spefici problem, such as you lost your car’s smart key and you need a new one synced and programmed to your car, you’re better off going to a dealer, which focuses on one car brand. The downside is that these specialized dealers are going to charge you more than regular auto shops. An auto servicing outlet that’s a certified member of an organization of servicing shops are required to follow a set of rules and regulations to ensure customer satisfaction. By working with such a shop, you are guaranteed that you won’t be scammed and that you’ll get excellent service for your money. If you think you found the right outlet you want to work with, set an appointment for a simple car maintenance job, such as tire rotation or oil change. If you like the work and service they have provided, you could be in the right place then. If otherwise, at least you have the chance to look for another shop, rather than entrusting them a major repair job. Not all Singapore motor servicing companies offer the same services. For the highest work quality and the best services, take time to research for options in your area. It saves you a lot of time, effort and money to have a car servicing company you can trust your vehicle to during the most inconvenient times. Getting past 200,000 miles on the odometer is an impressive achievement. With the improved reliability of today’s cars and more advanced car maintenance works recommended by car manufacturers in Singapore, drivers today can get more miles out of their vehicles. However, not all vehicles are created equal. While some are designed to drive more than 200,000 miles, some just fall short in that aspect. Fortunately, you can improve the chance of your car making 200,000 miles or even more. Just make sure to follow these tips to get the most out of your vehicle. Check your tires and make sure they have the right pressure by engaging the best car services by Merlin Motors in Singapore at Ang Mo Kio Industrial Park. Tires that are properly inflated lead to a smoother—and safer—ride and better gas mileage. Also, don’t forget to check the windshield washer fluid level. For typical driving, this is an interval of around eight months. After every eight months, have the oil and the oil filter changed. Check the coolant level and the windshield wiper to see if they need to be replaced. Also, it’s ideal to keep fresh fluids in your car to help avoid larger issues. Have the cabin air filter replaced by your car repair company as soon as you reach 36,000 miles. This car component aids in minimizing air pollutants from circulating inside the car. Regular replacement of cabin air filter ensures circulation of clean air inside the vehicle. Have a second cabin air filter replacement during this time. Also, let a car servicing expert check the evaporative control system of your car to clean it out of pollutants caused by the gasoline as it evaporates. When you’re already at 100,000 miles, some important parts of the car start to wear out. Take regular precautionary check-ups for these components to preserve your car’s condition and avoid expensive massive repairs later on. Hoses that serve the coolant live a hard life. These components have no choice, but to transport high-pressure fluids that can be more than 240oF hot. If you can’t remember when was the last time you had your coolant hoses replaced, now is the best time to do it, especially that you have driven your car over 100,000 miles. Because the tires are the only car parts that make contact with the pavement, it is critically important to ensure that they are in their best condition. Check the tire pressure, thread depth, and any bulging and cracking on the sidewalls of the tires. Don’t forget the regular tire rotation either. Along with the tires, the brakes require maintenance, too. Have your pads checked to ensure you still have plenty of material left. For disc brakes, have the rotors checked for any signs of wear, warping, or pitting. If there’s any sign of such items, have your rotors turned and your brake pads replaced. Your car’s serpentine belts are made of special kind of rubber that’s designed to work in hot environment like the engine compartment. However, this doesn’t mean that they can last forever. Take your vehicle to a car repair shop and have the belts inspected or signs of missing ribbing, cracks, or brittleness. If any of these is present, it means that you should replace them with fresh ones. Other than changing the oil, replacing the water pump and the timing belt is among the most important car maintenance works that you should do to your vehicle as the repair caused by a busted timing belt is extremely expensive. Statistically, there’s a really good chance for your timing belt to break. Though this maintenance can be a bit expensive, do not delay to have your timing belt changed. And since you’re going through all the hassle of having this component replaced, might as well have your car repair staff change the water pump, too. •	Use your sense of sight. Do a ‘pre-flight’ check at least once a week. Walk around your car and visually check if there are any broken parts. Also, take a second to look back at where you have parked every time you pull away and see if there are any fluids left behind. •	Use your sense of hearing. Your eyesight could be the most important sense when driving, but hearing can be the most critical one in keeping your car in its best state. Be extra mindful with the sounds you hear while driving. A vehicle that sounds like it’s going to break apart, probably will soon. •	Use your sense of smell. Your nose can help avoid problems that can endanger your run for 200,000 miles. When checking the oil, for instance, take a sniff. A burnt smell could mean that there’s something wrong with the engine as it is not using enough fuel to operate. Fixing this problem could save you from an expensive engine rebuild. •	Avoid short trips. If there’s one tip we can offer to make your car last longer on its original components, it is to drive your car less for shorter trips. Shorter trips do not let your car reach its standard operating temperature, allowing the slurry of water, fuel, and oil in the crankcase to build up and turn into toxic sludge. Periodically, have a car servicing company check your car. While you can do some of the minor check-ups on your own, only the experts can tell which components can use another repair and which ones finally needs replacing.